With Valentine's day fast approaching, it is time to focus on love, chocolate (lots of it! ), healthy foods and natural products to make your day as sweet and delicious as possible. From decadent but healthy sweets, to the ultimate winter hat and delicious love tea, this newsletter has a little something for everyone. Whether you are looking for a boost in energy, weight loss or to get a little more toned... we hope our monthly newsletter inspires you to take some steps towards the healthiest you yet. As always, my team and I love hearing from you! If you have any feedback, product recommendations or stories you would like covered, simply email us at drjoey@drjoey.com! We read and respond to each and every comment we get. Did you miss the kick off for the 5th annual Cityline weight loss challenge? If so, you are not too late! Simply click here to view and visit www.cityline.ca for more details. Congratulations to Laina who lost 20 pounds in 90 days at Shulman Weight Loss working with one of our amazing nutritionists Nicole (click here to meet our team). Along with dramatically improving her digestive health and her energy, Laina is so inspired she is now considering entering the nutritional field herself! If you want to lose weight and finally feel your best in 2016, all you have to do is reach out to us. At Shulman Weight Loss, we are proud to offer 1-on-1 peronal care that is natural and hormonally balanced. Effective and sustainable weight loss that works at any stage or any age. With over 23,000 visits per year, we know we can get you to your healthiest you yet! To book, please contact 1 of our 3 clinics below. 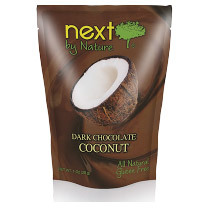 These dark chocolate coconut snacks mix two delicious flavours in the perfect way. The organic coconut and 70% organic dark chocolate comes together, giving you a delicious chocolaty treat that is all natural and gluten free. Next products come in a wide assortment of different flavours including dark chocolate goji berries, dark chocolate cashews, and dark chocolate strawberries. 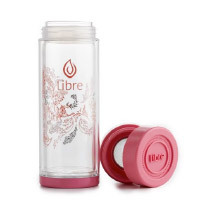 If you are a tea lover like me, Libre bottles are the perfect solution for loose-leaf teas. These beautiful glass infusers keep your drinks hot or cold and come in both a 9oz and 16oz size. They are convenient to take with you on the go and have a leak proof lid, preventing spills along the way. 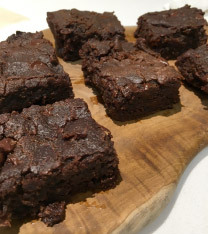 These delicious blondies are the perfect way to treat yourself... guilt free. 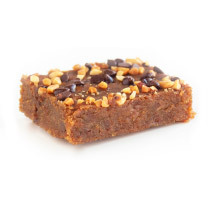 They are sweetened with dates and organic, low glycemic coconut sugar, and are made with whole foods such as natural peanut butter and protein-packed chickpeas. They are grain-free and dairy-free and are filled with fibre and protein that wont spike your blood sugars. Fresh or frozen with home delivery available. 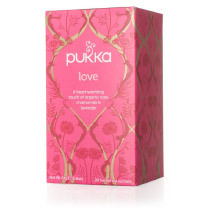 Each and every Pukka tea has a story behind it and the Love tea is no exception. Pukka?s herbsmith, Sebastian, created this tea as a gift to win over his partner, who is now his wife. This tea is made with love and the warming combination of organic rose, chamomile, and lavender and is both delicate and flavourful. Caffeine free, organic, vegan, gluten free and kosher. Get cozy this winter (and represent your favourite country!) 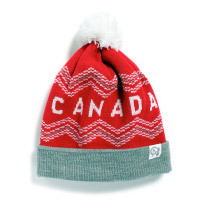 with this fun, stylish and super soft toque. All made in Canada and one size fits all. I love my Toronto version! Add all ingredients into blender, except for the cocoa nibs, and blend on high speed until well combined. Sprinkle cocoa nibs on top of smoothie before enjoying! Mix everything vigorously together in a bowl. Leave for 15 minutes and mix again. Then place in 3 small jars. Sprinkle with some more chia seeds for decorative purposes. Add all ingredients, except chocolate chips, in a food processor (or good quality blender) and process on high until all ingredients are mixed well. You may have to stop and scrape down sides and pulse a few more times). Add chocolate chips and pulse several times until combined. Place parchment paper in a baking dish, spread mixture evenly and bake for 35 minutes. Let cool for 10 minutes and enjoy! We spend a lot of time at our workplace, so it is important to enjoy! 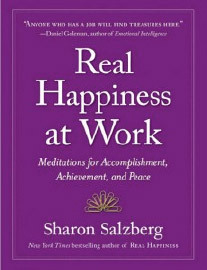 Author Sharon Salzberg?s Real Happiness at Work is a practical guide to improving work life through mindfulness, compassion, and ingenuity. It's about being committed without being consumed, competitive without being cruel, managing time and emotions to counterbalance stress and frustration. Dividing the idea of workplace satisfaction into eight pillars, Real Happiness at Work is filled with secular wisdom; core meditations on broad themes like motivation, awareness, and seeing the good in others. Sprinkled throughout the book are short stealth meditations, the kind that are quick, private, and doable anywhere. A great read. There is nothing better than a friend, unless it is a friend with chocolate.? Good for your heart - Dark chocolate can lower your blood pressure by improving blood flow. Full of magnesium - Magnesium has the ability to relax our muscles and improve our sleep and bowels. A mere 100 mg of dark chocolate provides us with a whopping 36% of our daily-required amount. Contains healthy fats - The fat in dark chocolate comes primarily from plants, and is mostly made up of monounsaturated fats, making it beneficial to all your cells. It's a natural mood enhancer - Dark chocolate boosts our feel-good brain chemicals such as serotonin and dopamine, making it a 'happy food'.